Recent research at the University of Bristol in London found proof that people who use public transportation are more likely to contract flu-like illnesses. The study followed commuters who rode the subway. 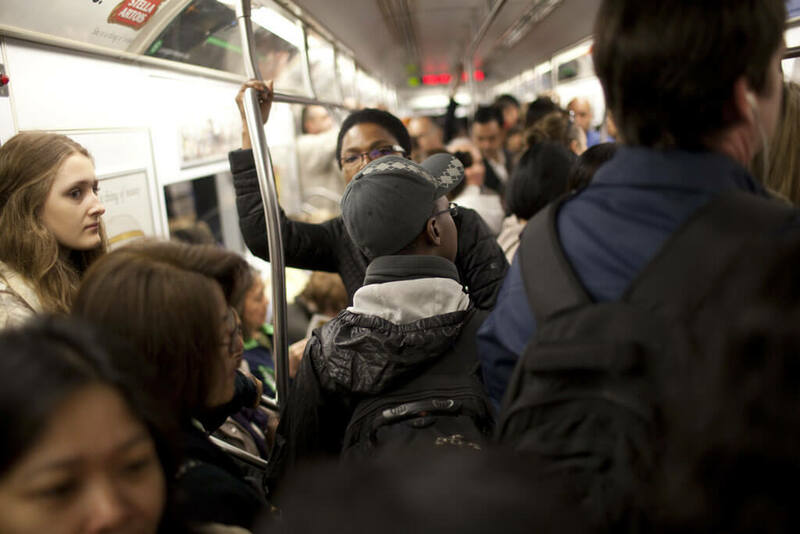 It found that there were far fewer cases of flu in people who took the subway less frequently, and also in instances when people had shorter rides and fewer stops. In fact, people who changed lines at crowded stations had triple the cases of flu than people who were able to take direct lines to their destinations. Luckily, there are preventative measures you can take in order to reduce your risk of getting sick during your daily commute. Avoid sitting near sick people if possible. Of course, changing seats isn’t always an option so if you find yourself stuck next to someone who’s coughing and sneezing, experts recommend that you breathe as shallowly as possible. Wash your hands! Those straps and metal poles that are so convenient to hold onto are breeding grounds for infectious bacteria and microbes. As soon as you can, wash your hands after being in a crowded public place. Carry alcohol-based hand sanitizer and use it frequently. Take care of yourself. Eating a healthy diet and getting enough exercise can help keep your immune system at its strongest. Self-care is preventative medicine! Get a flu shot. The Centers for Disease Control and Prevention report that flu shots can reduce your risk of getting sick by 40% and 60%. Beware your gloves and scarves. Many people are under the impression that their scarves and gloves act as a shield against germs, but this isn’t the case. In fact, gloves can end up filthy after touching all the various surfaces of a bus or subway and most people don’t wash theirs after each ride. Wear a mask. Although this is the most extreme option and one that could earn you some strange looks from other passengers, wearing a medical mask and gloves can virtually eliminate your chances of getting the flu or a cold. Follow these tips and you’ll be much more likely to stay healthy during your commute!